This post brought to you via Facebook engineers Jeff Morrison and Andrey Sukhachev, who discovered and helped isolate the issue. Think a "single page app" use case. You click a button. Content comes via XHR. But content is complex (and app is as lazy-loading as possible) and content requires extra CSS. In an external file. Only when the external CSS arrives should the app show the content. Otherwise content will be weirdly styled. Two "modules" (or "widgets") of the app require two different CSS files. Both modules are requested at about the same time. We listen to onload of the CSS files. Expected behavior: whenever a module and its CSS dependency arrive - show that module. Asynchronously. No one cares which module shows first, as long as they show up as soon as possible. Two modules. Two CSS files. 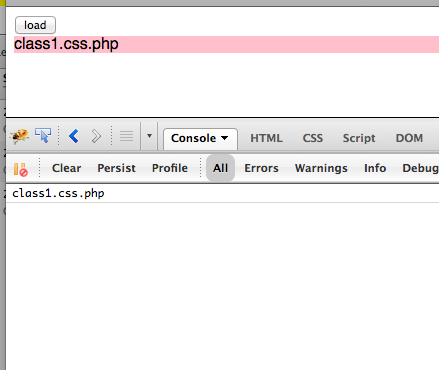 1st CSS happens to take one second. The second CSS takes 5 seconds. Here's the end result. The first module is pinky, the second is yellow. All good. The question is what does the user see during the ?-mark - between the first CSS is done and the second one is still loading. 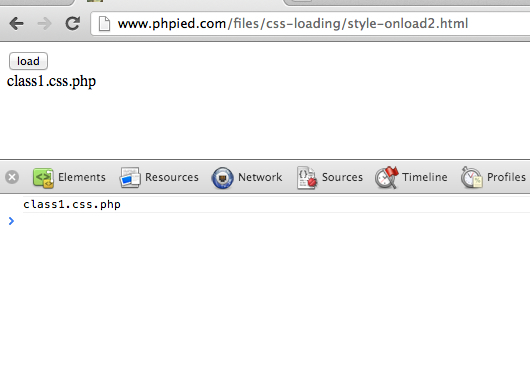 In FF, whenever the the first CSS is loaded, we see a new module. 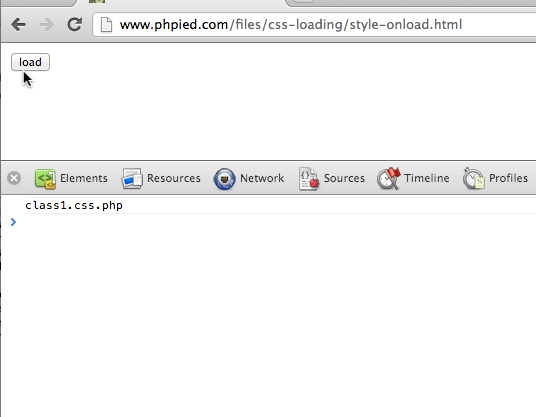 So turns out that here webkit also waits for both CSS files to arrive before rendering anything. While issue #1 is just a bummer that can be done better for the progressive feedback-y user experience, #2 is a bug. This is the issue that Jeff and Andrey found and were floored. 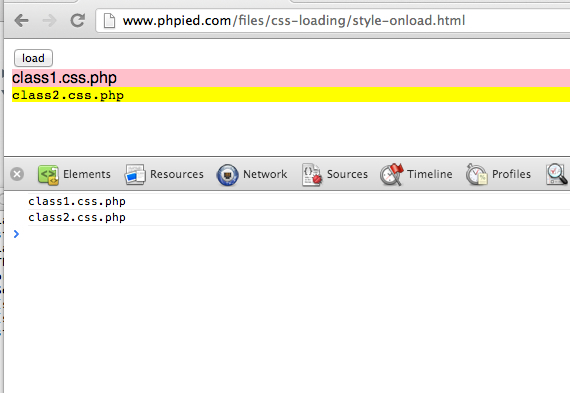 If there's a paint going on between the two stylesheets, the browser dumps the unstyled content on the page. Ugly stuff. This was only happening sometimes, but after forming and testing an hypothesis, I was able to distill a reproducible test case. 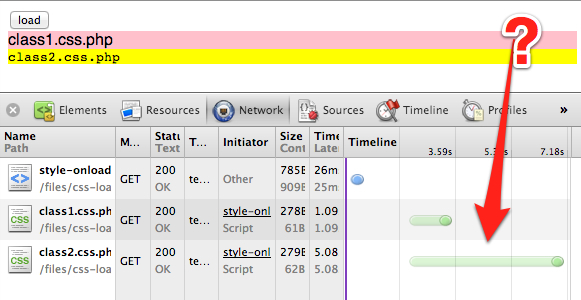 The only change is: after the load of the first CSS, flush the rendering queue by requesting a style information. e.g. I was faced with "registration wall" trying to file a webkit bug, hence this post. Someone please file a bug and feel free to use the provided test cases. The solution, IMO, is to make webkit behave like FF. No waiting for all CSS. This solves both issues. In the worst case, at least the unstyled bug (issue #2) should be addressed. Interim solution for web developers: inline CSS required by the module together with the module content.